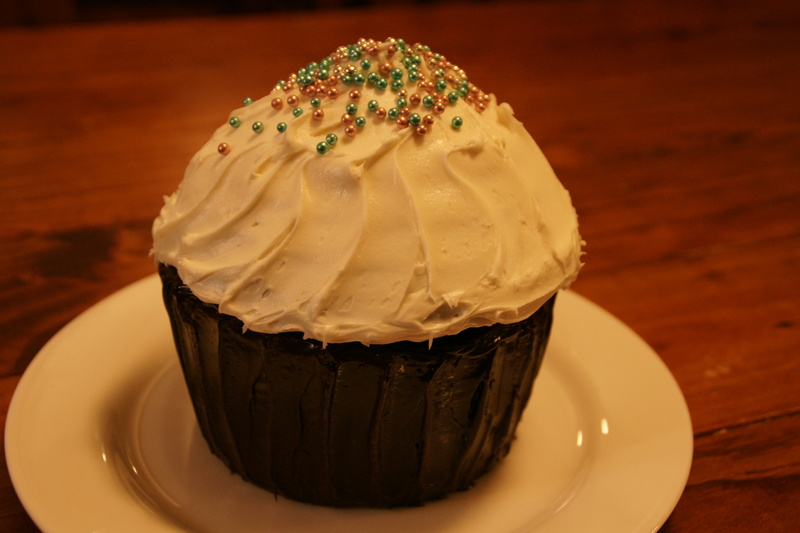 I am conscious of the fact that giant cupcakes and rainbow cakes both did the rounds of food blogs several months, if not years, before. Luckily, I have never let being fashion backwards slow me down. I recently bought a cheap giant cupcake mould and, on a rainy Saturday afternoon, decided to play baking with the 3 year old Miss B. When asked what kind of cake we should make, she said very firmly that it should have different colours in it and that one of them must be pink. And so the rainbow cake plan was set. 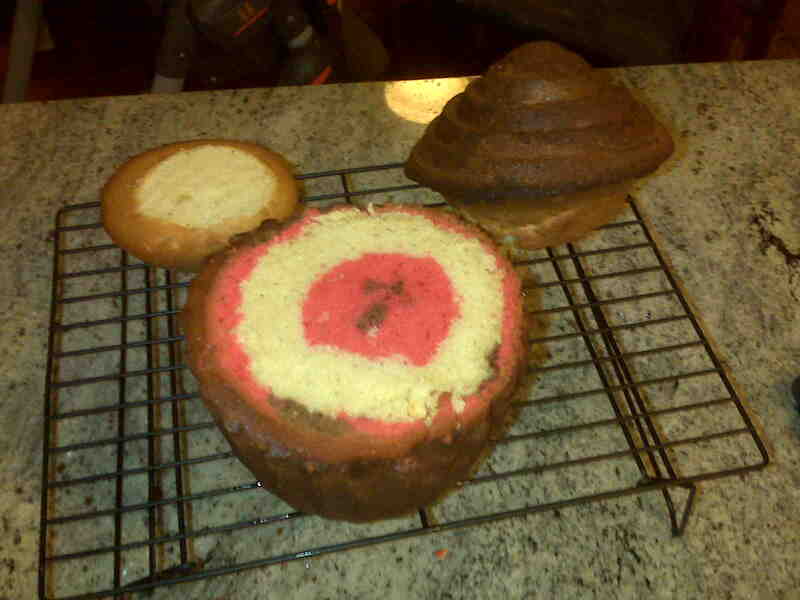 I used a basic, but enormous, butter cake recipe and tinted one third pink, one third brown (chocolate, naturally!) and left one third untouched. All three colours were enthusiastically sampled by Miss B and judged to be suitable. Messy? Yep! Healthy? Nope! 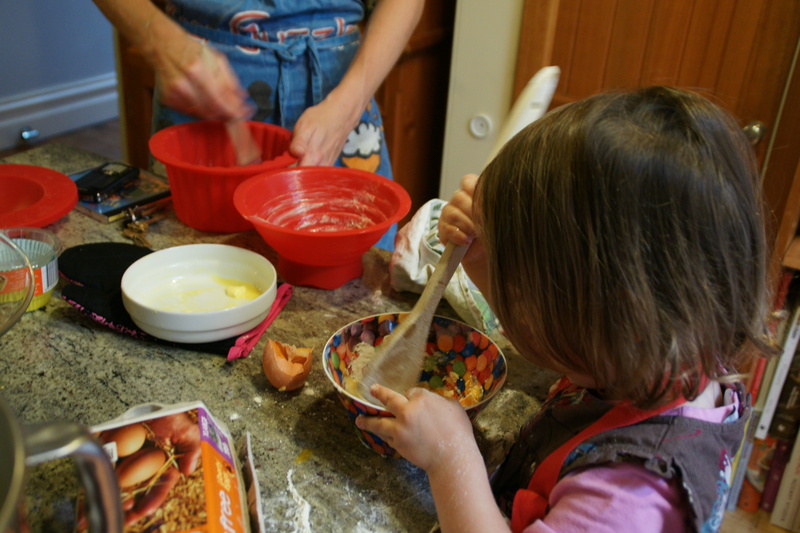 Fun way to spend an afternoon with your little baking assistant? Absolutely! You have a great assistant. I think Miss B and Miss Ruby are both going to be fantastic in the kitchen. 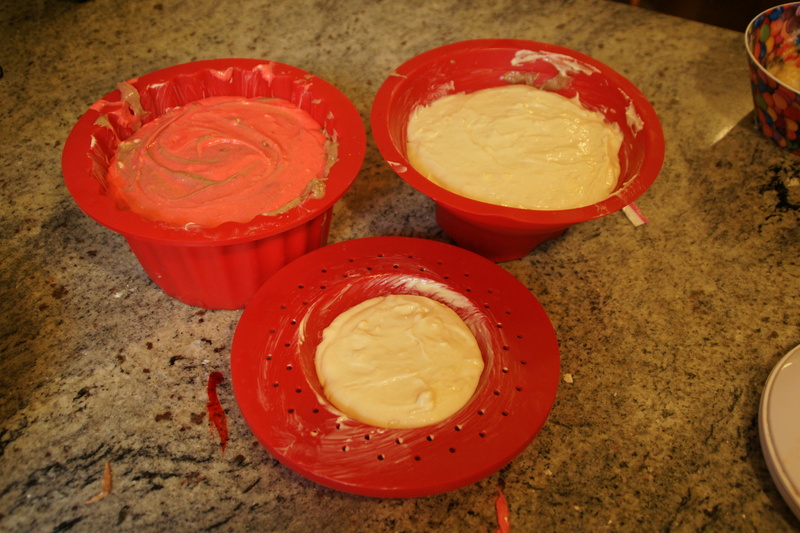 I have looked a the “giant cupcake” tins but was concerned of the amount of cake – were you happy with the result. That looks great, and all the flavours of my childhood favourite ice cream: Neopolitan. I’ve never seen a giant cupcake pan before, but it certainly looks like it made for a great day in the kitchen.